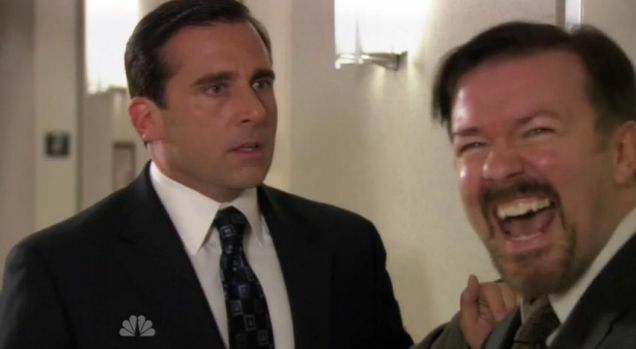 It had been long promised, but Ricky Gervais finally reprised his David Brent character last night in the US version of The Office to make a small cameo bumping in to none other than Dunder Mifflin manager Michael Scott. "Blink and you'll miss it, but just a little thanks to Steve Carell. A pleasure to work with the great man."